The time saving solution to all your safety needs. Chippy Catcher provides the ultimate fall through protection solution for your new build. 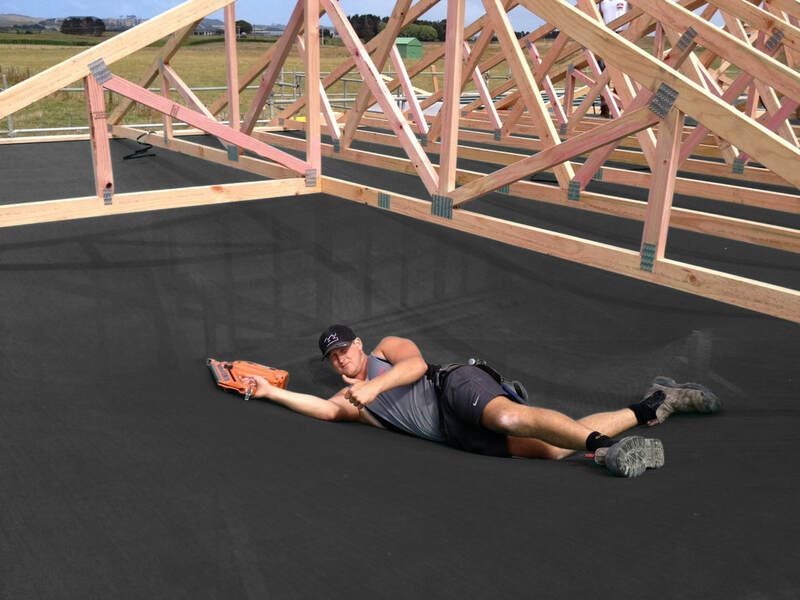 The uniquely knitted polyethylene fabric (HDPE), is used as an internal fall through protection, for working above residential wall framing, minimizing the risk of workers falling from above the wall height to the floor below. ﻿Chippy Catcher is certified for falls from up to 3.5m providing fall through protection for all builders working on projects where the Chippy Catcher system is used. FREE same day quantity take-off. 0800 30 40 30 free phone number for any questions. Chippy Catcher provides a superior, effective and timely solution ensuring compliance with fall through protection requirements. Developed by Builders… for builders. The system is designed to be used with both Timber & Steel frame construction methods, utilising standard fasteners that are readily available on most building sites. Does not disrupt the traditional construction processes & systems, or site accessibility, unlike protective bags or mats installed at floor level. Completely safe if accidentally fallen upon from a height, unlike wire based products. Easily installed from the safety of external scaffolding, even in windy conditions. Very simple to use, as it is installed between standing of the Wall Frames and the Capping Plate or (Truss Packer) installation. Provides overhead protection to those working below from falling debris or tools. Will not fray or tear due to its extremely strong knitted construction. Partially see through, ensuring continual spatial awareness whilst working. Extremely durable and carries a 7 year UV guarantee. Dispatched to your delivery address within 24hrs (stock dependant). Simply cut out and removed once it’s no longer required. Fully recyclable as all cut-offs and pieces can be easily recycled. 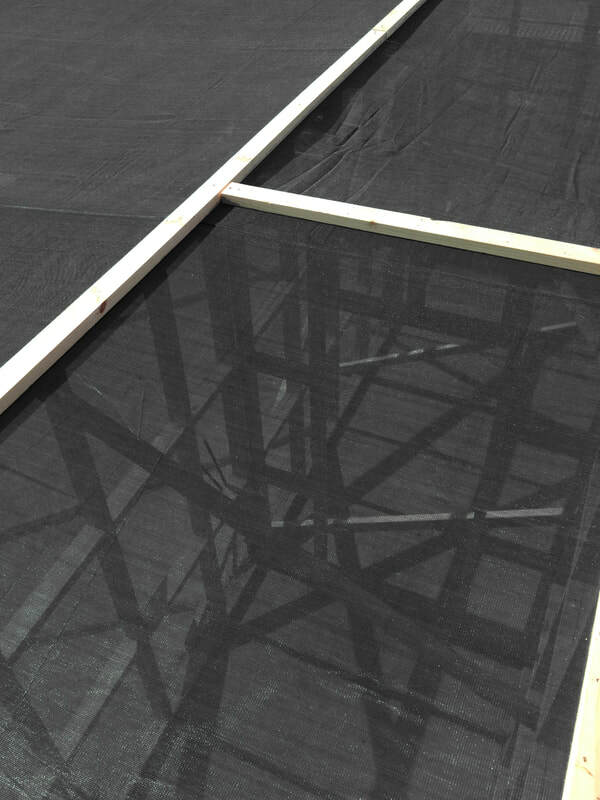 Does not require specialist installers, unlike other safety netting systems currently available. ".... and the best thing, no site holdups as we were not waiting for another bloody contractor"
"​Brilliant, fully compliant without changing our normal construction routine"
"Absolute Gold! We are now able to work underneath the "Chippy Catcher" without the worry of tools and worse falling on us"
"My boys found they were able to create the roof structure a lot quicker as their confidence levels were higher"
"Finally my roofers have a complete fall protection system"